Below we’ve compiled some of the different reports and presentations JFA has generated over time to document and communicate some of the changes and current state of our neighborhood. We touch on jobs, housing, zoning, and more. 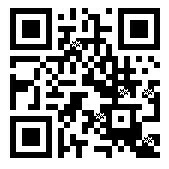 Fact Sheet on Developments: Examines the specifics of 3 developments in LIC/Astoria (BQX, Sunnyside Yards, LIC Core Rezoning) in relation to the values of JFA. 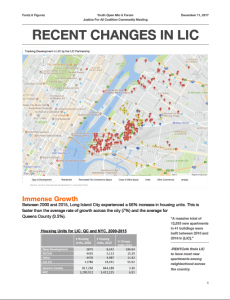 Changes in LIC Report: Examines changes in land prices recent housing and hotel development in relation to past and present rezonings of LIC. 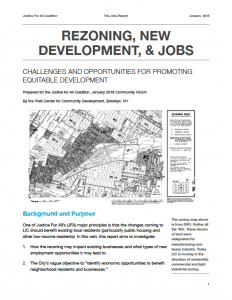 Jobs Report: Examines how LIC has been changing, gives overview of proposed LIC rezoning, addresses how the rezoning could affect the economic landscape in LIC and discusses the extent to which new jobs will go to local residents.